You may call it a difference of opinion, President Museveni admitted that his government’s anti-poor policies promoted by the KCCA administration of Jennifer Musisi needed to be reviewed. Museveni hailed Musisi for cleaning up Kampala but added that perhaps the successes had come at the expense of the poor. He called for alternative solutions to sending poor single mothers off the streets of Kampala. But Museveni’s minister for Kampala Frank Tumwebaze has written to state that Museveni was misled to believe that NRM’s losses came as a result of their unfriendly policies. Tumwebaze blamed opposition to Musisi’s policies on vested commercial interests. “A lot of this opposition was based on selfish commercial interests. It is now visible that these forces are hoping to use these election results as an excuse to push through their agenda. Am happy and proud of the KCCA team led by Madam Musisi for all we achieved and still achieving. “As minister for Kampala, I chose to firmly support KCCA so as to protect them from the unending political altercations and enable them to concentrate on their technical work. I am happy that visible progress has been made. 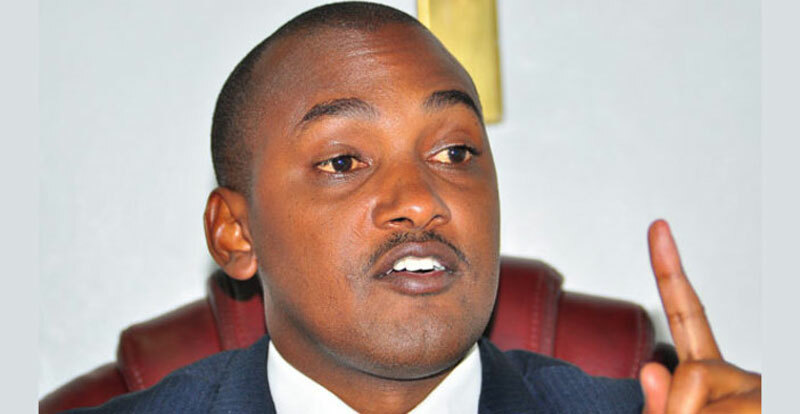 Tumwebaze instead blames NRM’s loss to poor mobilization of the party. The minister adds that his will not tolerate vendors to continue selling their merchandise on streets for as long as he is minister of Kampala. Tumwebaze’s view is not shared by many in Kampala including the Attorney General Fred Ruhindi who claims to be the victim of Musisi’s policies after he was beaten in the parliamentary race for Nakawa. Rubaga South’s new MP Kato Lubwama also argues that Musisi’s policies are to blame for the enmity of the party among Kampalans. There is no doubt that KCCA has undertaken massive infrastructure and service delivery initiatives that have positively turned around the image of the city.But this has never been smooth-sailing. Even as we battled to have KCCA undertake whatever projects it did, there were always forces whether from the opposition, the NRM or even mainstream government that opposed our (KCCA) firm and decisive approach to transforming Kampala. As minister for Kampala, I chose to firmly support KCCA so as protect them from the unending political altercations and enable them to concentrate on their technical work. I am happy that visible progress has been made. So the poor performance of NRM in Kampala in the recent elections, is a challenge that we need to correctly analyze as a party and not blame on KCCA. Therefore, those rushing to give the President biased information against KCCA are only trying to use the challenge of the party’s poor performance in Kampala as a blessing in disguise, to further their earlier on anti- Kcca Agendas. A honest conversation is required or else we risk undoing the great milestones we have painfully achieved in the city. Let us asses how potent our party’s campaign and mobilization strategy in Kampala and other urban areas generally was? However, in doing this, we must avoid falling prey to those who now see this as a chance to roll back the gains made under KCCA and return this city to the dark ages of disorder, filth, wheeler-dealing and corruption. Already I can see different groups pouring back on the streets of downtown Kampala with intention of returning the city to its old chaotic and filth state. This will not be accepted. We have informed the police and we expect their full support in this noble duty of regulating the city’s trade environment. Kampala is the image of Uganda and its our nation’s signature mark. We must therefore decide how our image should look like. This is a must do irrespective of who is politically popular or unpopular in Kampala. As long as am still minister for Kampala, I will pursue this line with with neither fear nor indecisiveness! Does opposition still have any purpose in our parliament?